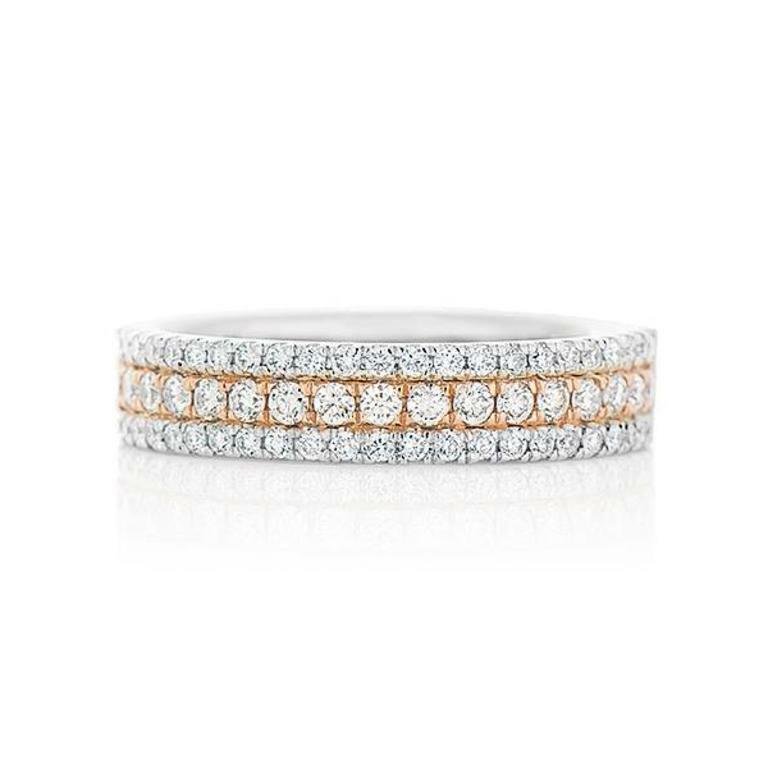 Ladies triple row diamond band crafted in a combination of 18k white and rose gold. 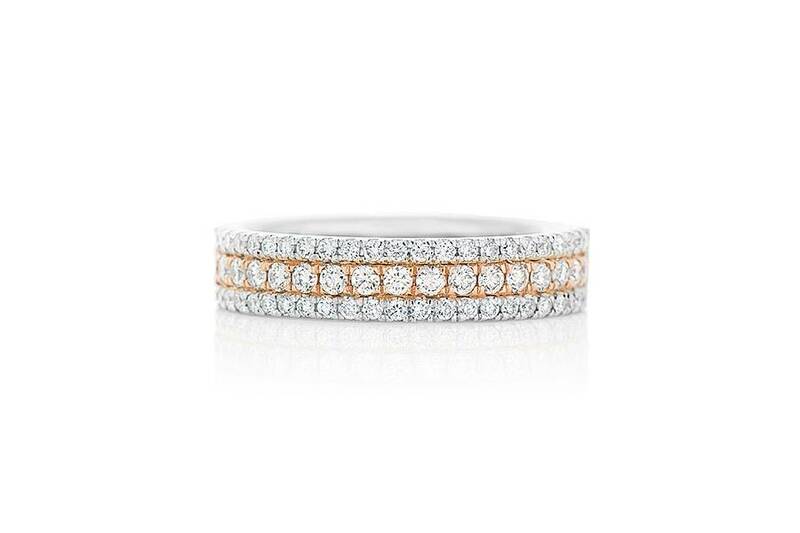 The band is set with a total of 63 round brilliant cut diamonds that are of equal size and micro pave set. The middle row of diamonds is set into a rose gold backdrop while the two outer rows of diamonds are set into white gold. The remaining shank of the ring is semi tiffany in shape and high polish in appearance.